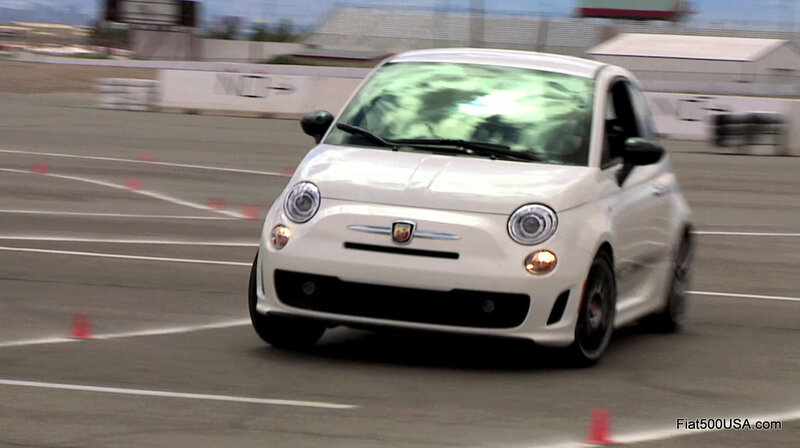 Three years after its introduction, the Fiat 500 Abarth continues to impress automotive experts. 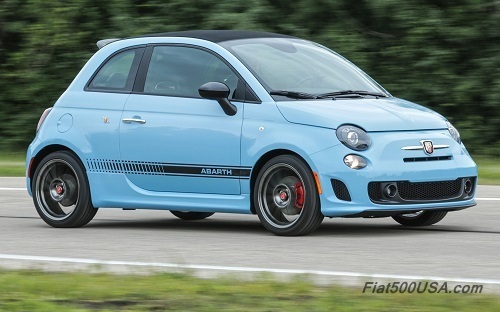 Just this month alone, the 500 Abarth has earned accolades on several automotive review sites, being recognized as one of the Most Fun New Cars for Less Than $27,500, one of Quickest Cars For Under $25K and one of the Top 10 Most Tunable 2016 Hatchbacks. The Fiat 500 Abarth has been named one of Road & Track's Ten of the Most Fun New Cars You Can Buy for Less Than $27,500. Road & Track says you shouldn't have to spend $30,000 to drive a great car, and we agree. The Fiat 500 Abarth brings a genuine European hot hatch driving experience to America. "If you want a city car that will make you look forward to driving it, you'll have a hard time finding a better car than the Fiat 500 Abarth. It has plenty of flaws, but you won't care every time you hear the exhaust pop and crackle. It's amazing, and it never gets old. Ever." 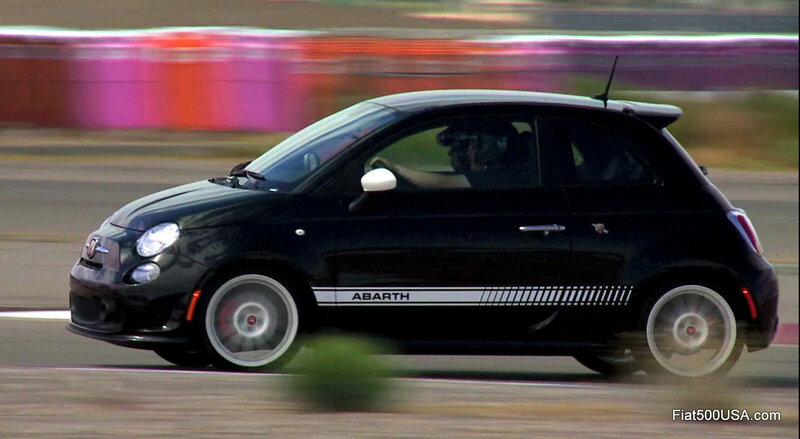 The 500 Abarth earned a spot on Road Test Reviews' list of Quickest Cars For Under $25K. "... the engine note and the exhaust is addictive! The little car farts and parps along and if you change down emits a crackle on the overrun that is intoxicating. It’s like driving around in a large bowl of Rice Krispies, snap, crackle and pop." The 500 Abarth also made Revved Magazine's list of the "Hottest Hot Hatches: Top 10 Most Tunable 2016 Hatchbacks"
"The 500 is the smallest car on the list but a great city car that can zoom through traffic without missing a beat." 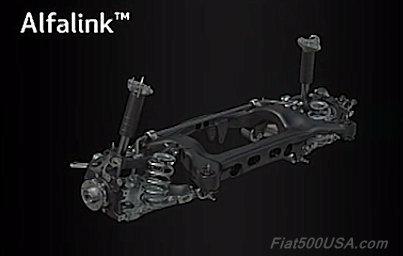 "...There are a surprising number of U.S.-based Fiat tuning outlets ready to boost up and deck out the 500. They include 500 Madness, Eurocompulsion, and Road Race Engineering." 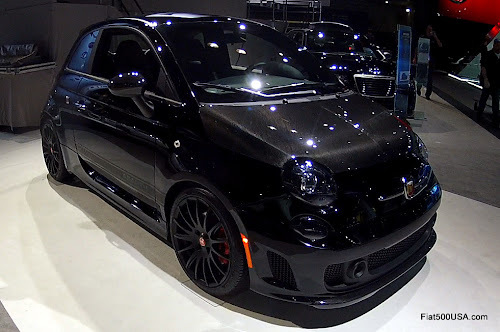 We have all the top Fiat Abarth tuners and accessory sellers on the Fiat 500 USA Forum. Make sure you stop by the forum and discuss this post and don't forget to visit the vendor section to see all the cool things they have for your car. Read about the other awards Fiat has won. NOTE: This bulletin applies to cars sold in the NAFTA region and built on or before May 7, 2015 (MDH 0507XX). Squeak/squeal noise during moderate brake apply combined with light steering. The noise typically occurs with warm brakes after several brake applications. Squeak/squeal noise during low speed brake apply with vehicle moving forward or reverse. ambient temperatures and the noise will go away after a few brake applications. The solution involves cleaning excessive sealant from the front brake caliper adapter brackets and replacing the adapter bracket mounting bolts and/or replacing the front brake pads and related hardware. This bulletin involves reprogramming the Transmission Control Module (TCM) with the latest available software. NOTE: This bulletin applies to vehicles built on or before **September 02, 2015 (MDH 0902XX)** equipped with a 2.4L Engine (Sales Code ED6) and 948TE Automatic Transmission (Sales Code DFH). · P0711 - Transmission Fluid Temperature Sensor A Circuit Range-Performance. · P1CC9 - Unable to Engage Gear. · P1D98 - Incorrect Gear Ratio Clutch B or D Defective. · P1DAD - Input Shaft-Output Shaft Direction Correlation. · U1424 - Implausible Engine Torque Signal Received. · Less than desired accelerator pedal response in Sport and TractionPlus modes. · RPM flare at engine start. NOTE: This bulletin applies to vehicles built on or before **September 02, 2015 (MDH 0902XX)** equipped with a 2.4L Engine (Sales Code ED6). A small number of cars may experience a Malfunction Indicator Lamp (MIL) come on. Technician may find one or more of the following Diagnostic Trouble Codes (DTCs). · U0402 - Implausible Data Received From TCM. · P0133 - O2 Sensor 1/1 Slow Response. · P0171 - Fuel System 1/1 Lean. · RPM flare at cold start. · Less than desired idle performance. 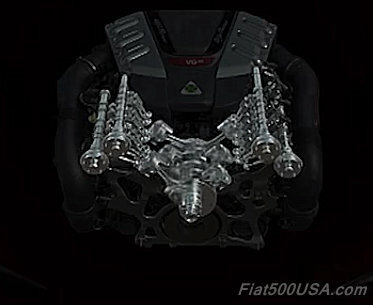 · Cold engine RPM surge with gear engagement. Reprogramming the Engine Control Module (ECM) with the latest available software should address the concern. NOTE: This bulletin applies to vehicles sold in the U.S. and Canada market and built on or before May 20, 2015 (MDH 0520XX) equipped with Cluster 3.5 TFT Color Display (Sales Code JA2) or Cluster 3.5 TFT B&W Display (Sales Code JAY). The Instrument Panel Cluster (IPC) brightness level may not adjust correctly to correspond with the outside light levels. Also an enhancement was made to properly calculate and display when the next service maintenance is needed. This bulletin involves reprogramming the IPC with the latest software to fix the condition. NOTE: This bulletin applies to vehicles sold within the NAFTA and EMEA market and built on or before September 02, 2015 (MDH 0902XX). 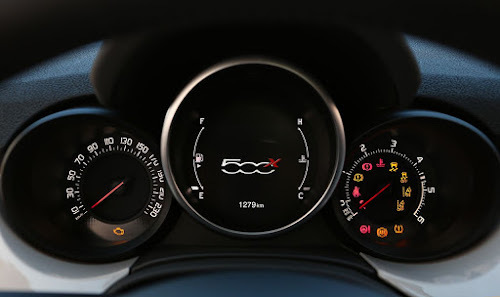 The Power Steering System Warning lamp may illuminate on the instrument cluster. This bulletin involves reprogramming the Electric Power Steering (EPS) module with the latest available software to correct the erroneous EPS lamp illumination. 0903XX) equipped with UConnect 5.0 AM/FM/BT (sales code RA2). A false message may be displayed in the Cluster "Parking Sensors Unavailable and/or Sound System Unavailable." A radio software update is available that will fix the issue. NOTE: Software updates are available for download to USB flash drive on the Uconnect web site. *This is provided for discussion purposes only. You should always contact your dealer for up to date information and to answer any questions. The dealer will be able to tell you what if any bulletins are applicable to your car. Tim Kuniskis, former Head of Fiat Brand North America from 2011 - 2013 and current Head of Dodge among other jobs, has been reappointed to his old position running Fiat USA. He replaces Jason Stoicevich, who had been running Fiat USA after Kuniskis was moved to Dodge in 2013. Kuniskis is a 23 year veteran of Fiat Chrysler Automobiles (FCA) and assumes responsibility for NAFTA Passenger Car Brands, consisting of Dodge and SRT, Chrysler and Fiat. In addition, Kuniskis has been appointed to the Group Executive Council (GEC), the highest decision-making body within the FCA organization. During the time Kuniskis ran Fiat USA, Fiat sales doubled in 2012 to 55,600 units, up from the 25,161 delivered in 2011. A passionate performance car enthusiast, Kuniskis was responsible for the Fiat 500 Abarth Venom concept car and most recently, the 700+ hp Dodge Challenger SRT Hellcat, the fastest and most powerful muscle car ever. With the new Fiat 124 Spider about to be introduced, enthusiasts are looking forward to seeing what Kuniskis has in store for them. Jason Stoicevich brought his sales and marketing experience of running the California Business Center (CBC) to the national level. At the CBC, Stoicevich achieved outstanding results with Fiat 500 sales rising 254 percent in one year making it the fastest growing brand in the state. During his tenure at Fiat USA, Stoicevich presided over Fiat's record 2014 sales and also introduced many different special editions including the popular 1957 Edition. Sales for 2015 haven't been as rosy as consumers have shunned passenger cars and small cars in particular for SUVS and crossovers. The 500X crossover introduced in May is helping Fiat to regain some positive sales momentum, but it has been slow going as Fiat has been ramping up availability. 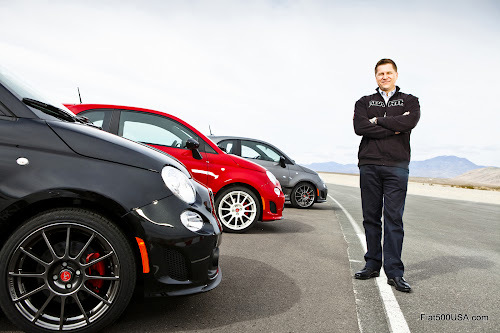 Last week when Kuniskis was reappointed Head of Fiat Brand, Stoicevich was moved to Head of Fleet Operations and Small Business Sales for the U.S. but has subsequently left the company. We wish Stoicevich the best and thank him for his dedication and contributions to the Fiat Brand. 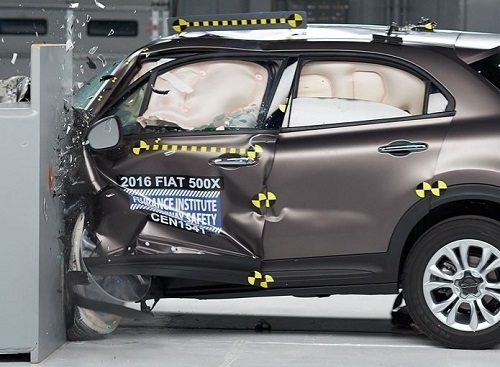 The 2016 Fiat 500X has earned the Top Safety Pick + award from the Insurance Institute for Highway Safety (IIHS). 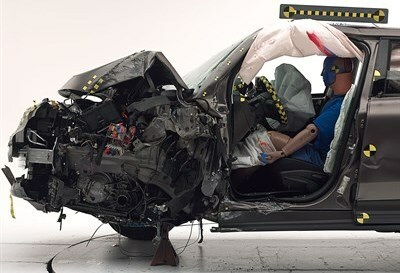 The grueling IIHS testing simulates both a 40 MPH front moderate and small-overlap impact, a 31 MPH side impact, a roof-crush consistent with a rollover, and a 20 MPH rear collision capable of causing a whiplash injury. 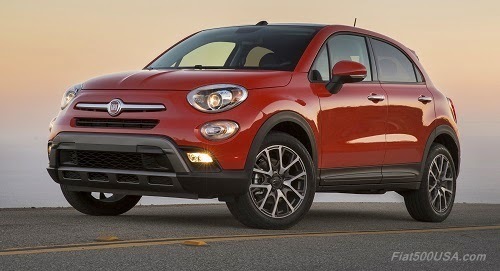 The Fiat 500X achieved the highest possible rating in all five tests which qualify it as a Top Safety Pick by the IIHS. Additionally, the 500X received the rating of "advanced" under the Front Crash Prevention test and wins the Top Safety Pick + award. Starting in 2013, the IIHS began the Front Crash Prevention test that evaluates the performance of forward collision warning and autobrake systems for cars equipped with the technology. Ratings are determined by how they perform in tests at 12 and 25 mph. There are three rating levels - superior, advanced and basic. Cars that have earned a Top Safety Pick and a forward crash prevention system with a superior or advanced rating are awarded the Top Safety Pick + designation. The 500X with the available Forward Collision Warning-Plus system earned an advanced rating, just missing the superior level by one point. “Delivering such features for less than $30,000 in a vehicle segment not known for such sophistication is clear evidence of our commitment to the democratization of advanced safety technology”. Fiat's current lineup has also stacked up impressive crash test ratings. Tested by Euro NCAP, the organization that assesses the safety performance of cars sold in Europe, the 500 was the first car of its size ever to achieve a 5-star crash test rating. The 500L also has a 5-star rating and is ranked best in its class. 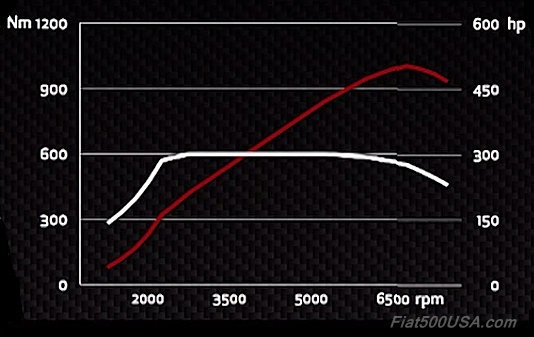 The 500X has earned similar results. 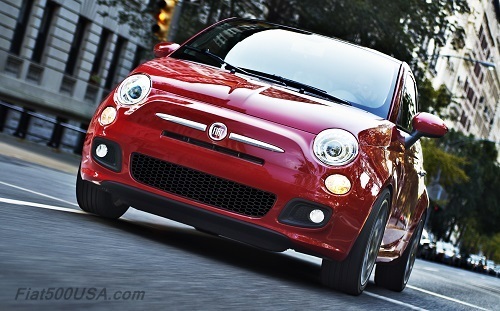 Here in the US, the 2012 Fiat 500 and 2014 500L were both named IIHS Top Safety Picks. It is good to see 500X carrying on the tradition. Measures taken from the head, neck, and chest indicate low risk of injuries to these body regions in a crash of this severity. Forces on the right foot indicate that injuries to the foot would be possible. The driver space was maintained reasonably well, with maximum intrusion of the lower interior of 11 cm at the lower hinge pillar. Upper interior intrusion measured 9-10 cm at the instrument panel and hinge pillar. The dummy’s head contacted the frontal airbag but moved too far to the left side, leaving the head vulnerable to contact with forward structure. The side curtain airbag deployed and had sufficient forward coverage to protect the head from contact with side structure and outside objects. The side torso airbag also deployed. 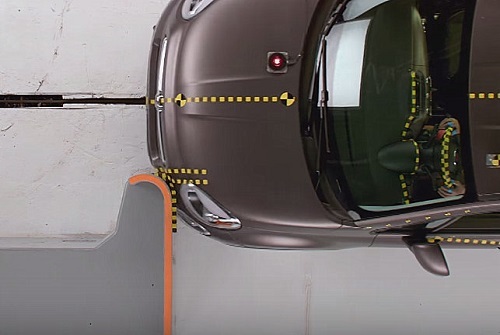 Note: Side crash test ratings can be compared across vehicle categories. Important: Head restraints and seats ratings should be compared only among vehicles of similar weight. 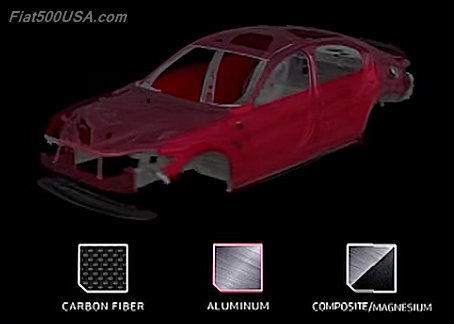 Vehicles only need a strength-to-weight ratio of 1.5 to meet the federal regulation. The Fiat 500X roof can withstand more than 4 times its weight. 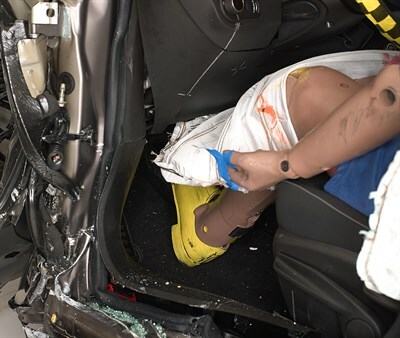 Images courtesy of IIHS media. 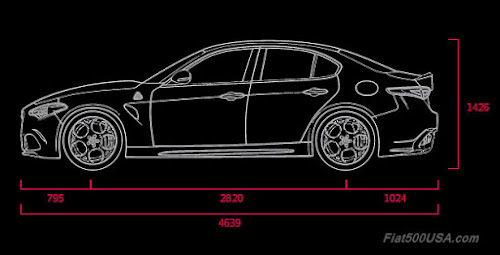 Vehicle Class: Luxury Mid-Size Car Segment. 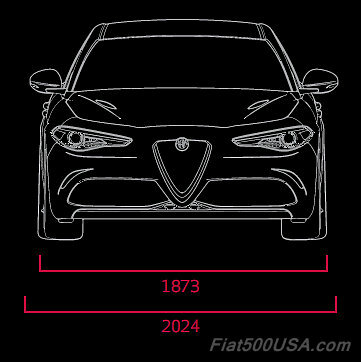 *Preliminary specs courtesy of FCA. Metric Units official, US Standard measurements provided for convenience. Fiat brand sales for September were up over the same month last year, continuing the incremental sales growth started last month by the arrival of the 500X crossover. For the past two months, Fiat brand sales were up 1 %. Fiat 500X sales were up 10% over the previous month, helping offset 500 and 500L sales which have been down significantly so far this year. 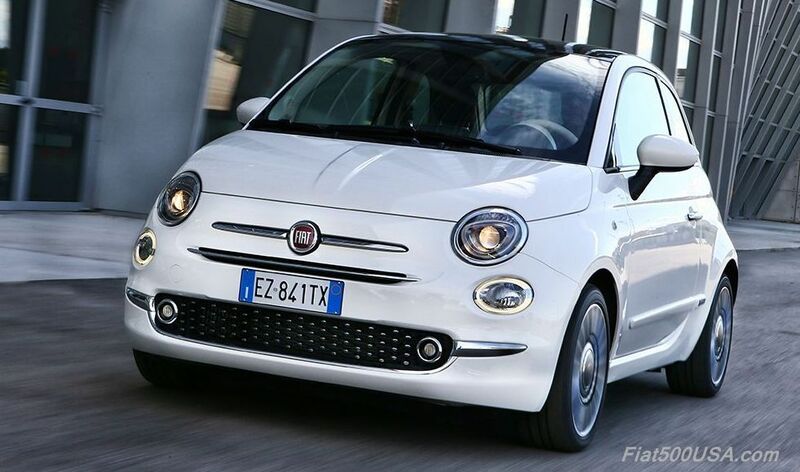 Fiat sold a total of 1,133 500X models last month compared to 1029 units in August, and 962 in July - a steady increase as the Melfi factory pumps more cars into the supply chain. Fiat has been ramping up availability of the 500X, which hit the US market in just a few months ago. Sales of 500 Hatch and Cabrios have not been so fortunate. Fiat sold a total of 1,926 of these models in September, down 30 % compared to last September. So far this year, 500 sales are down 20% compared to last year. The new, revised 2016 500 looks to reverse this and will be available in showrooms shortly. Fiat 500L sales have stalled the past few months, corresponding to the arrival of the 500X. Some had argued that the 500X would steal sales away from the 500L and it looks like they may have a point. However, the 500L received a huge boost when Pope Francis used the car to tour the United States during last month's visit. The name 500L was all over the media so we will have to wait and see if there will be some divine intervention for sales coming soon. September was a good month for Fiat enthusiasts. 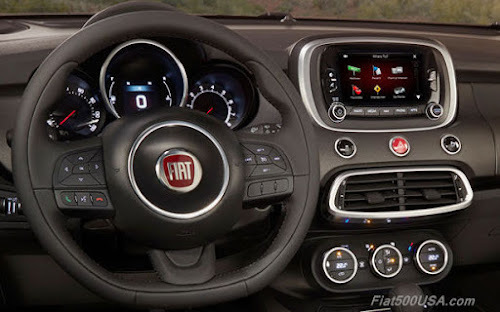 Fiat unveiled the new 2016 Fiats; Alfa Romeo debuted their fantastic new Giulia Quadrifoglio, and the Pope chose to tour the United States in a Fiat 500L. 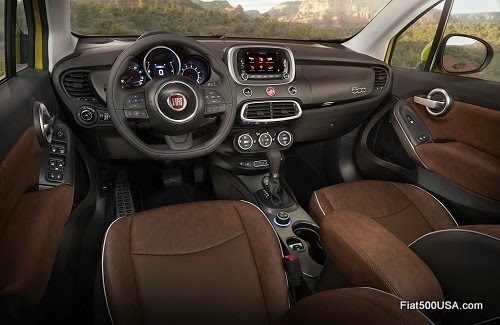 The 2016 Fiat 500 offers new colors and a revised dashboard with an upgraded infotainment system. 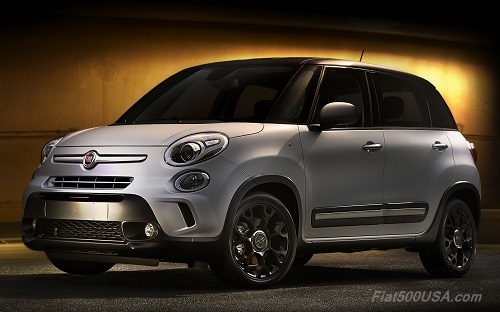 The Fiat 500L sports a new roof color available for the attractive Urbana special edition. Now the 500L Urbana can now be had with a red roof as well as last year's black. This special edition boasts unique trim for a decidedly sporty, sophisticated look. 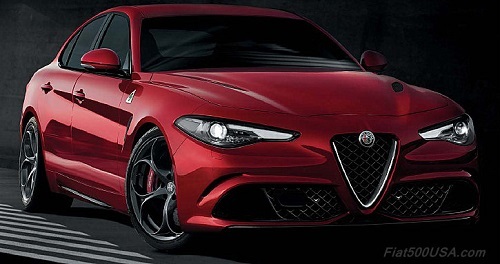 Alfa Romeo's spectacular Giulia Quadrifoglio made its public debut at the Frankfurt Motor show last month. The 510 hp Giulia QV is a sedan with literally supercar performance. It lapped the Nurburgring in an astonishing 7 minutes 38 seconds, which not only set the record as the fastest sedan ever to lap the legendary 'ring, but is also faster than many mid-engine exotics including the Lamborghini Murcielago. We'll have more on the Giulia Quadrifoglio as we get close to its North American unveiling rumored to be at the LA Auto Show in November. Speaking of the LA Auto Show, the new Fiat 124 Spider is also expected to be unveiled at the venue. 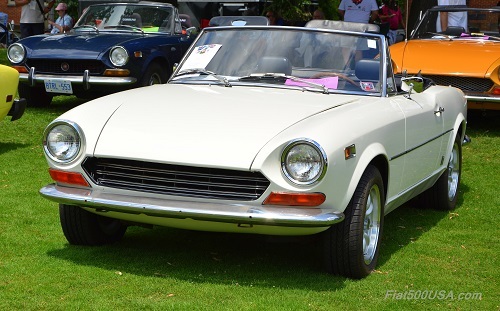 The spiritual successor to the original 124 Spider circa 1966 - 1985, the new Spider combines the capable chassis of the Mazda Miata with a higher horsepower Fiat engine wrapped in an Italian redesigned outer skin. Between the new 124 Spider and Alfa Giulia, car enthusiasts in North America will have plenty of reasons to visit their local Fiat dealer this year. The 2016 Fiat 500X received a software update for its Uconnect system. Owners of Fiats equipped with Uconnect should ocasionally check the Uconnect website for software updates that can be done at home. The following link shows how to do this in a 500X and has a link to Uconnect. Others cars are similar. The end of September went out on a high note when Pope Francis during his three-city visit to the US chose a Fiat 500L as his method of transportation. 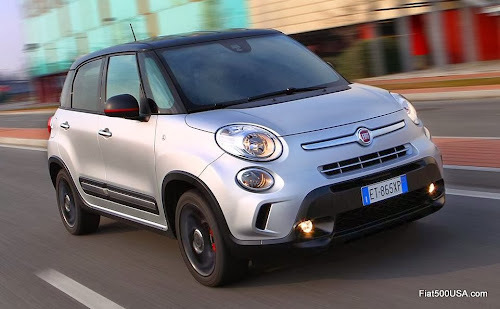 Not only is the 500L a roomy and comfortable car, the choice of the 500L symbolized the Pontiffs commitment to protecting the environment and also his humility. For the sixth year in a row, Fiat Chrysler Automobiles (FCA) has been included in the prestigious Dow Jones Sustainability Index (DJSI) World. This recognition is reserved for only the top performing companies in the world in regards to sustainability, and FCA was one of only three automakers that made the list.